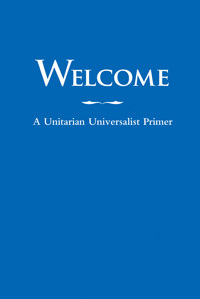 As members and friends of the Champlain Valley Unitarian Universalist Society, committed to the Unitarian Universalist Principles, we strive to be an inclusive and welcoming community that sustains a liberal religious tradition. We aspire to be visible and active on behalf of social justice and environmental responsibility. We nurture and empower each other at all ages on our spiritual journeys, and we reach out to the larger communities of which we are a part. Our highest priority is that people of all ages are opened to deeper connections with themselves, others, and the spirit of life. Our second priority is that people who participate in the life of CVUUS are in “right relationship” with one another and the wider community. Our third priority is that people who participate in the life of CVUUS are connected to a purpose beyond individual and congregational self-interest. UUA General Assembly 2017 in New Orleans awakened and deepened the commitment of Unitarian Universalists to the power and possibility of working in solidarity with those on the margins. Visit uua.org/ga to view G.A. resources and suggestions for continuing education. For instance, in the Race category read The Third Reconstruction, by Rev. Dr. William J. Barber and The Criminal Justice System is Not Broken: It’s Doing Exactly What It’s Meant to Do from the Kennedy School Review. We do not have permission to reproduce Bryan Stevenson’s stunning Ware Lecture on racism in our prison system and the challenges of social justice work, but many elements of it are available in his book Just Mercy. Delegates elected Susan Frederick-Gray, a minister from Phoenix, to be the association’s President for the next six years. She is the first woman elected to the position. Burlington, VT’s Mara Dowdall led Sunday morning worship service. Follow the link below to hear her. The first reading she chose for the sermon starts at 34 min. 20 sec.The second reading starts at 48:20. (There’s an offering in between). Mara’s sermon starts at around 1 hour, 16 min. into the service.